If you subscribe to PaySauce, wage related information such as wages paid to employees and PAYE paid to IRD, can be automatically fed into your Cash Manager Focus farm business. Each time you process payroll, the details will be posted directly into your Cash Manager Focus farm business as an invoice, waiting to be matched to the corresponding bank transaction. Alternatively, you can set up the connection from your Cash Manager Focus farm business. However, you’ll find it’s easier to setup from PaySauce. The following video tutorial walks you through how to set up the link between Cash Manager Focus and PaySauce. Alternatively, you can follow the instructions below. From the menu, select Integration. Click on the Cash Manager Focus tab. Click on Connect to Cash Manager Focus. 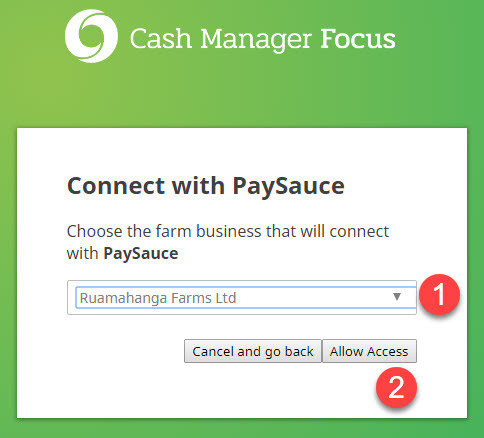 You'll be redirected to the Cash Manager Focus login page to select the farm business you want to align with your PaySauce account. Select the farm business you want to connect with PaySauce. Once you've connected PaySauce to your Cash Manager Focus farm business, you'll be taken back to PaySauce to finish the setup. The final step involves mapping your wage related codes from Cash Manager Focus, so that invoices from PaySauce arrive into your farm business pre-coded. Select Costings from the menu. Go to the Accounts section and apply the right expense codes to the different elements of your pay. 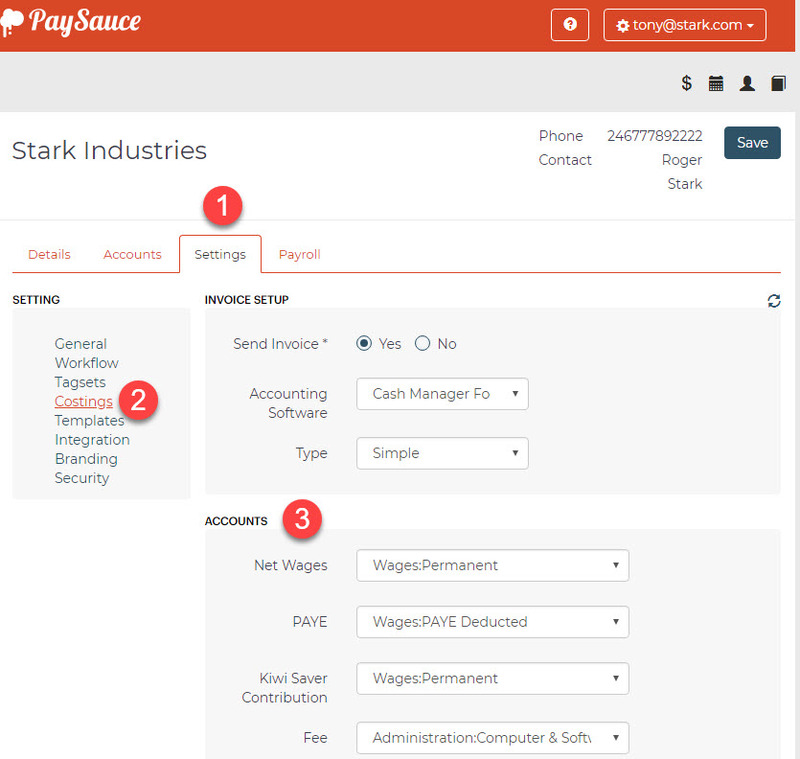 If you no longer want PaySauce invoices to arrive in your Cash Manager Focus farm business, you can disconnect the integration while in PaySauce. Click on cross (x) next to the box displaying the connected farm business.